Last May, Zitro celebrated its first Zitro Experience event in Argentina, where, in addition to presenting its products, founder Johnny Viveiros Ortiz announced their commitment to the market and their closeness to the needs of the Argentinian operator. The situation caused by the strength of the dollar has given Zitro the opportunity to translate into deeds the words of Johnny at that event. 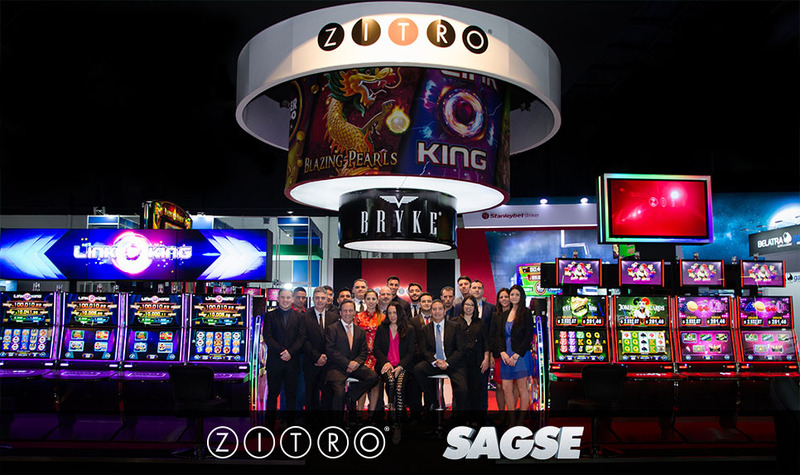 Zitro presented at SAGSE its wide range of Bryke Video Slots products with the highlight on its progressive banks which are already causing a stir in Argentina’s gaming halls, such as the spectacular Link King LAP progressive multigame distinguishable by an imposing presence and by its emotion-laden games, as well as the range of standalone multigames including the wildly popular Pick & Win series and the most recently released Hot Deal and Spin Hit series. Furthermore, Zitro once again surprised visitors with Power Bingo Link, its latest innovation in Video Bingo. A bingo video game that also has all the appeal of the best progressive banks. The investment made by Zitro in products for Argentina is a tangible proof of the commitment to the market that the company promised in May. But Zitro’s formidable products could not have reached the Argentinian gambling halls without commercial formulas that helped alleviate the pressure that operators are under when having to acquire debt in a foreign currency. At a time when the Argentinian peso is going through a challenging moment, the Argentinian operators that visited the Zitro stand were surprised, not only by how spectacular the company’s products are but also at discovering the formulas offered by Zitro to place these products at your disposal. This way Zitro also fulfils its promise of closeness to the operator by helping them overcome the current situation, as promised by Johnny Viveiros Ortiz at the May event.